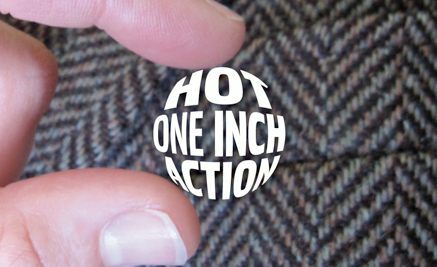 My button design was selected as one of the medalists in this new round of Hot 1 Inch Action. There will be 50 different artists represented & for $5, you get a bag with 5 random buttons. I love this idea! You can buy specific buttons, so if you really have your heart set on a certain one, you have to get social & start swapping. Fun! 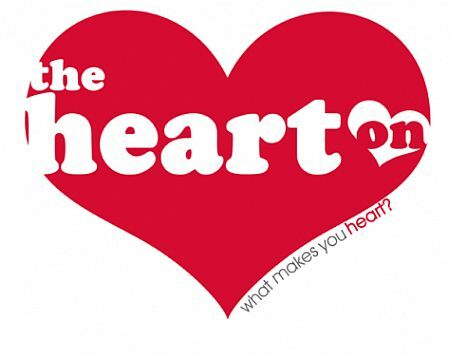 Next up, my girl MJ is hosting another fab art show/party with a romantic theme – The Heart On. The last show (The Wee Show) was packed & I was delighted by the quality of the art & the all-around awesomeness of the people I met. Normally I don’t do so well at hot, loud, crowded events, but the artists & attendees were such a friendly bunch that I could’ve partied all night. Which reminds me…wear comfortable shoes! I still have to find frames for the 2 new paintings I have in this show, so I’d better hop to it! I love the button idea! So you CAN or CAN’T buy them individually? Either way, sounds fun. I love having some kind of framework for talking to strangers. Wish we could go.